SCDRC Notification is out. 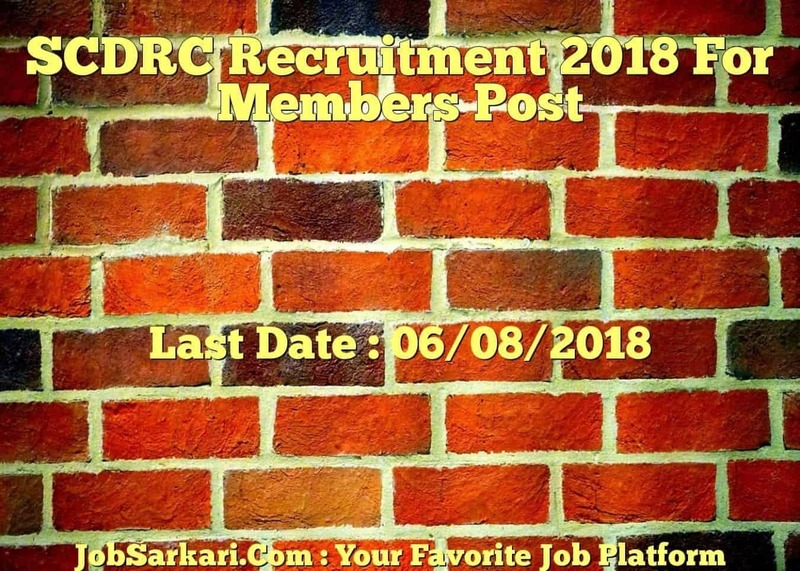 SCDRC is recruiting for 34 Members Post Posts. You can check SCDRC - State Consumer Redressal Commission Lucknow last date, download SCDRC notification, visit SCDRC official website and check other SCDRC Vacancy details.Complete Vacancy and recruitment Details about 34 Members Post vacancies in SCDRC are provided below by JobSarkari.Com only for you. Last Date Receipt Application. 06/08/2018. Agra First. 01. 01. 02. Kanpur Village. 01. 00. 01. Lucknow Second. 00. 01. 01. Lakhimpur Khiri. 00. 01. 01. Total Vacancy. 20. 14. 34. Candidate Must Have Passed Graduation And Candidate Must Have Knowledge of Economics, Commerce, Articles And Industry With 10 Years Experience. Minimum Age is 35 Years. 1. Candidate Can Apply Through Offline Application. 2. Candidate Need to Download Application Form As Given on Our Website in Important Links Section. 3. Candidate Need to Fill All the Compulsory Details in Application Form. 5. Candidate Need to Send the Application Form on Given Address Before 06th August 2018. 6. State Consumer Dispute Redressal Commission. Gomti Nagar, Lucknow, UP. Q. 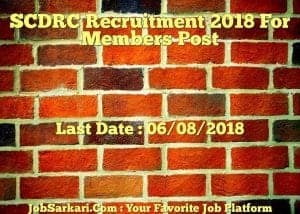 What is the Last Date For SCDRC Members Post Vacancy ? A. Last Date for SCDRC Members Post Posts is 06/08/2018. Q. What is the Form Type of SCDRC Members Post Recruitment ? A. The Form Type for SCDRC Members Post Posts is Offline. Q. How many vacancies are available in State Consumer Redressal Commission Lucknow Members Post Posts ? A. There are about 30 Vacancies in State Consumer Redressal Commission Lucknow Members Post Posts. Q. What is the Full Form of SCDRC ? A. Full Form of SCDRC is State Consumer Redressal Commission Lucknow .